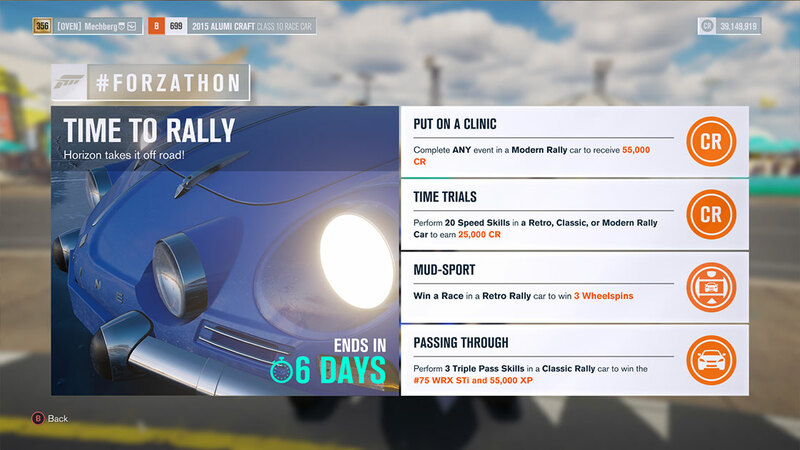 Since the launch of Forza Motorsport 7, it’s been fantastic to watch the community grow and explore as we’ve introduced new features like Auction House and #Forzathon events. With that in mind, I’m so happy to announce that Leagues arrive in Forza Motorsport 7 on Tuesday! With our next content update, launching on December 5, we’ll be introducing Leagues in the game with our inaugural series we’re calling “Intro to Leagues.” Leading off this edition of the Week in Review, I’d like to give you an introduction into how Leagues will work. If you’ve never played them in Forza Motorsport before, Leagues are scheduled competitive online multiplayer events in the game. Leagues are updated on a regular basis and, at their core, they are a chance for players to compete with players of similar skill levels and earn rewards along the way. 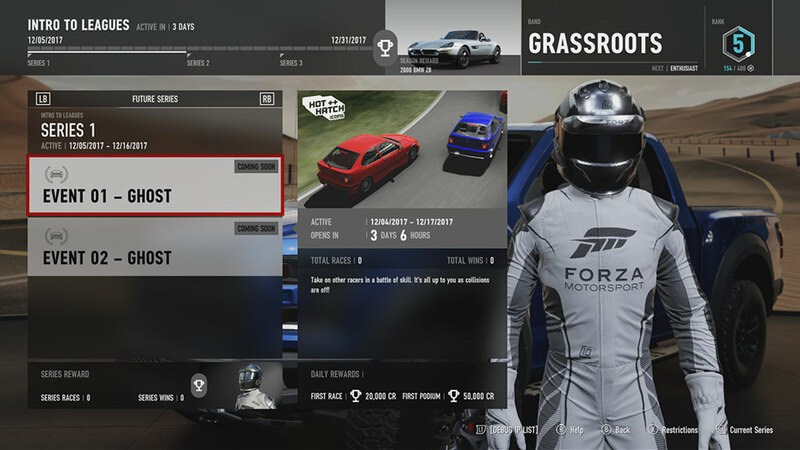 In Forza Motorsport 6, players earned only credits. With Forza Motorsport 7, we’re shaking everything up, from how you progress to what you can earn as rewards, and more. It all starts on Tuesday with our “Intro to Leagues” series, which will serve both as an introduction for new players to the Leagues feature, and as a chance for us to test the systems while our community acclimates to the new feature. Forza Motorsport 7 Leagues are organized along scheduled timelines called Seasons. Each League Season will typically be four weeks in duration and each Season will be comprised of four week-long Series. 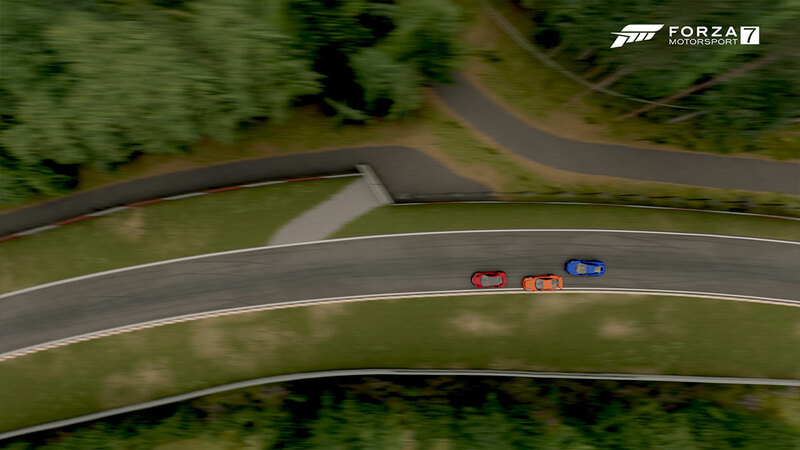 Series are made up of Events – traditional multiplayer race lobbies – that operate under specific rules and use a variety of vehicles, from specific make and model races, to events based around division or class. As you can see, the Leagues home screen gives the player a lot of information. On the left side, you’ll see information on the current Season and Series, as well as the current active Events (note that there can be multiple Events open during a particular Series). You’ll also see information on what rewards you can earn for participating in a Series and for participating in the over-arching Season. On the right side of the screen is information about you, including your current Band and Rank, the number of League Points you have earned in your current Rank, and the total League Points you need to earn to move to the next Rank. As mentioned earlier, you can move between Ranks and Bands. For instance, a Rank 5 player in Grassroots Band might move through to Rank 1 in the Grassroots Band; with enough points, that player could be promoted to the next Band (where she would start at Rank 5 in the new Band). Also, players can move down in both Rank and Band, depending on their performance in Events. That’s where scoring comes into play. After each League race, you’ll earn League Points that will increase (or decrease) your total League Points score. Scoring is calculated across three different areas: Finish Position, Starting Position, and Opponent Skill. As the names imply, Finish and Starting Position award points based on where you start and where you finish, and are scaled by the number of players that you start a race with. If players drop out mid-race, you’ll be awarded the points based on the number of players who were on the grid at the start. In addition, as a further deterrent to players dropping from races early, players who leave a race early will receive a last place (read: negative) points payout. With Opponent Skill scoring, points are awarded to the player based on their Trueskill ranking (a behind-the-scenes rating number) as compared to the rest of the lobby. If a player’s rating is lower than average of the lobby, he’ll receive more points for higher race finishes than he would if his rating was at the average or higher than the average of the lobby. We heard loud and clear from League players in Forza 6, who complained about the lack of full lobbies in the upper echelon skill tiers. With Forza 7, each of the Bands will include a higher population of players per Band. By breaking players up into multiple Ranks within those Bands, we’re able to allow more people in, but also settle in to the skill level that is right for them. In terms of Matchmaking, players will first be matched to players in a similar Band and Rank, with players from adjacent Ranks sometimes filling in the gaps. As you can see, Leagues in Forza Motorsport 7 are designed to bring great racing to players of all skill levels. What I’m most excited about is the ways we can reward League players. It starts with credit rewards. Every day you log into Leagues and finish an Event, you’ll be awarded with a daily credit gift. You’ll also earn a credit bonus for your first podium finish of the day. If you’re promoted to another Rank, that’s another credit bonus and, should you move between Bands after an event, you’ll get an even bigger credit bonus. In fact, the higher you go up the Bands, the more credits you can earn for promotion. It’s not just credits. As you can see from the screen above, we’ll be able to gift League players with awesome rewards, including exclusive cars, player badges, and Driver Gear. 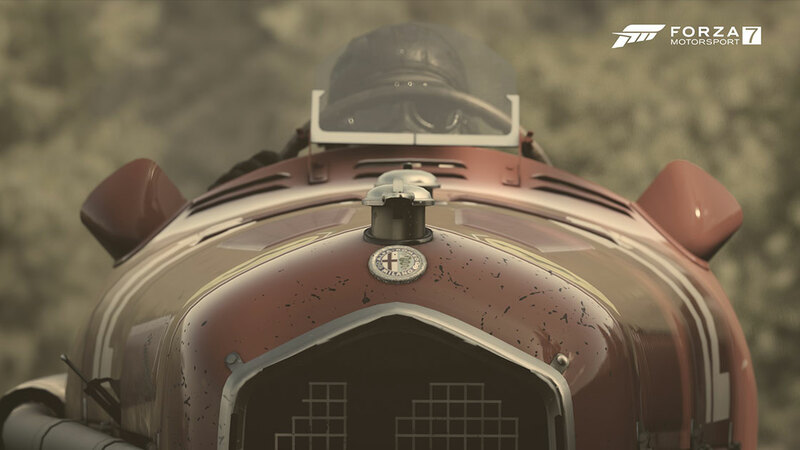 For our first Season, players across all Bands will be able to earn great gifts like the new Gingerbread Man and New Years Driver Gear suits, as well as two exclusive cars: the 1954 Jaguar XK120 SE and the 2000 BMW Z8. We’re extremely excited about the launch of Leagues on Tuesday. As mentioned at at the top, our inaugural “Intro to Leagues” will continue throughout December and kicks off with a pair of Ghost race events (Hot Hatch Icons and Hypercar divisions). These events serve as a great introduction for new League players, and a fantastic way for experienced players to both earn and settle in to their initial skill Band and Ranks. Series 2 in the “Intro to Leagues” will feature one Ghost event (Sports Coupe division) and one Simulation event (Exotic GT). In the coming months, we’ll be reaching out to the Forza Community for feedback on the type of events they’d like to see come to League Seasons. Until then, happy racing! Earlier this week, we released our latest update for Forza Motorsport 7, which featured a number of improvements to the game including fixing an issue where certain cars could not be sold on the Auction House. 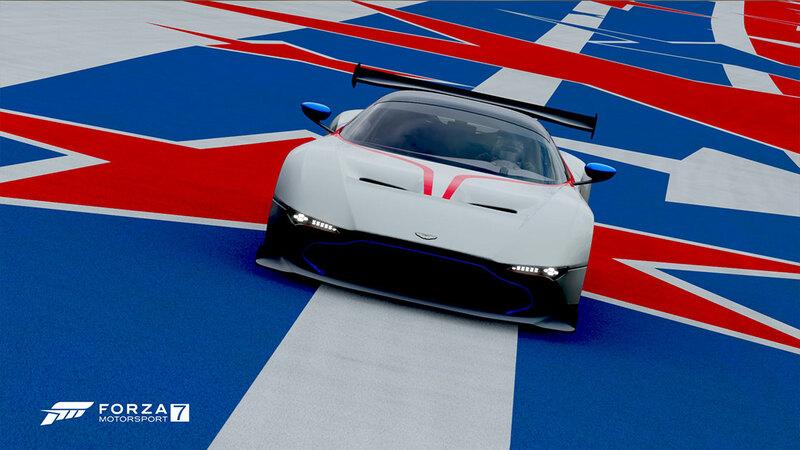 For the full list of improvements, check out the latest post in our continuing Release Notes thread on the Forza Forums. Unlimited Drift – Build your perfect drift car with no restrictions, to compete for the most points. All drivetrain types are allowed! Hypercar Division – Speed is the name of the game with this homologated hopper featuring Hypercar division cars. Cold Runner (VIP only) -- Brave the slopes in the 2013 Ram Runner Forza Edition! In anticipation of the upcoming December Car Pack that will be pack of the December Forza Motorsport 7 Update, community writer Johniwanna has put together a clue thread in the Forza Forums for you to peruse. As can be expected the clues are utterly vague. 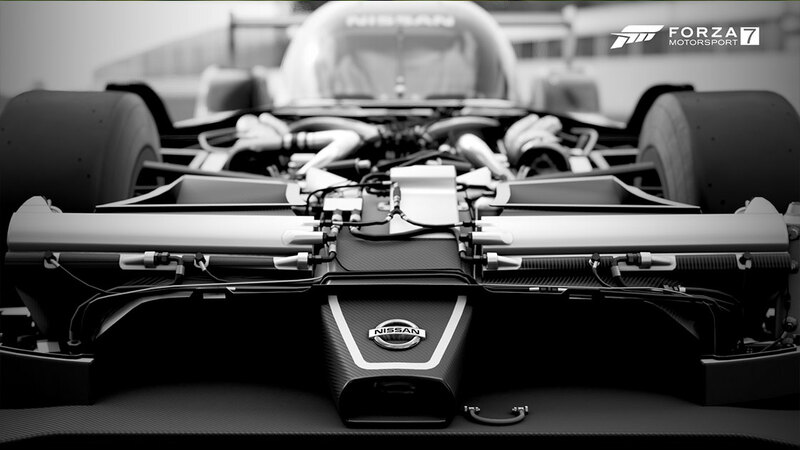 However, knowing the curiosity of the Forza community, we don’t doubt you will figure a few of them out. The Specialty Vendor cars this week in Forza 7 include a pair of “big-boned” luxury rides with the 2016 Rolls-Royce Dawn, and the 2012 Land Rover Range Rover Supercharged, along with the light and lithe 2009 MINI John Cooper Works. Each are available for a few more days in the game before a new trio of cars arrive. That new batch will be special indeed, including the Aston Martin One77, the Jaguar XKRS GT, and the Mazda MX-5. We’ve got not one but TWO big Forza streams coming up today. First up we’ll be hitting #ForzaFriday hard beginning at 3 p.m. Pacific, checking out the new Rivals and Hoppers, and talking about Leagues. Then, at 6 p.m. Pacific we’ll be hitting up the Xbox Extra Life Marathon stream over on Mixer. We’re honored to once again be a part of this great charity stream, with all proceeds benefitting Extra Life. Tons of great guests and games will be featured during the 24-hour livestream, so feel free to join us on the Extra Life Mixer channel at 6 p.m. and stay tuned in for all the fun all night long!